Many contractors get into trouble with finances especially if they are “robbing Peter to pay Paul.” It’s very tempting to use the money from one job to buy materials for your next job but that will quickly get you into trouble. Cost overruns are another area that can spell disaster on the job. This is why you need to be upfront with your clients and present them with a workable budget. That budget should also have a contingency built in to cover those potential overruns. If the bookkeeping is too much for you to handle, then turn that work over to someone with the accounting skills to help you make sense of it all. The way to stand out in any business is to find a niche. In the world of contracting, that might be a specialty that your company does better than anyone else. This might mean hiring an exclusive stonemason that does decorative tile work. Once word gets out that you are creating these wonderful environments you’ll find a lot of customers are coming your way. Your potential customers are going to be doing a lot of screening with regard to your business. You should also look at them carefully. You’ll get a good sense of how accommodating a customer is going to be within that first interview. You’ll also get the sense if they’re going to be a micromanager to your work. It might not be worth devoting energy to a small job when you could be working on a much larger scale. Outsourcing various tasks on a project is a smart move that any contractor can make. You’re going to be hiring subcontractors for all kinds of work. Included on that list should be Junk King Richmond. These are the junk removal professionals who have dedicated themselves to keeping homes, businesses and job sites clear of rubbish and waste. 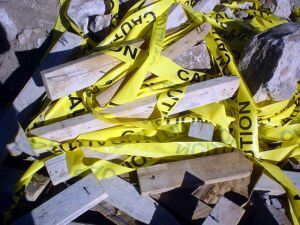 Let Junk King Richmond handle your job site cleanup. Always fast and always affordable. This entry was posted in Richmond Junk Removal and tagged contractor, Junk King Richmond, junk removal, remodel, rubbish, waste on July 26, 2017 by Junk King. Last updated July 26, 2017 .